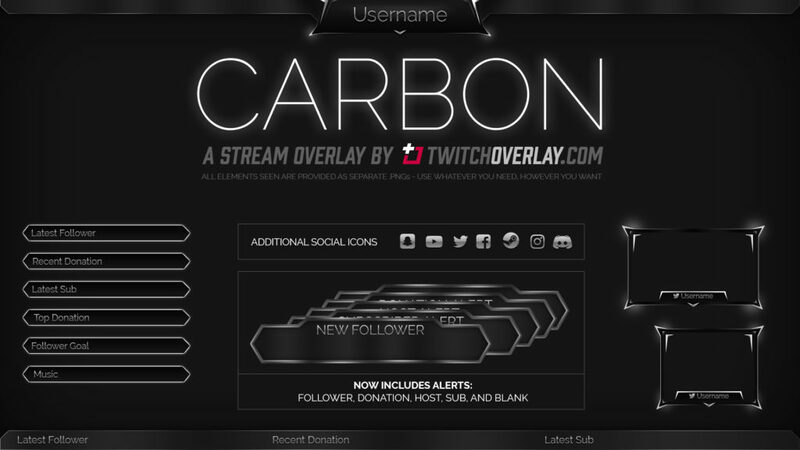 Carbon is a grey twitch overlay with a smart, metallic finish. 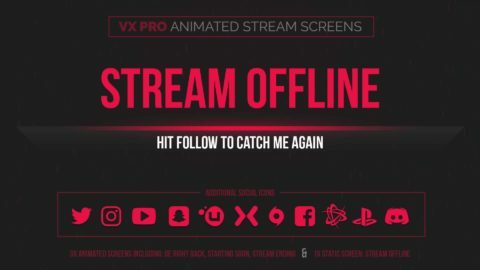 Ideal for streamers out there looking to keep their graphics downplayed, but stylish at the same time, this set of monochromatic stream graphics will give your stream a subtle sense of identity without distracting from you or the gameplay. 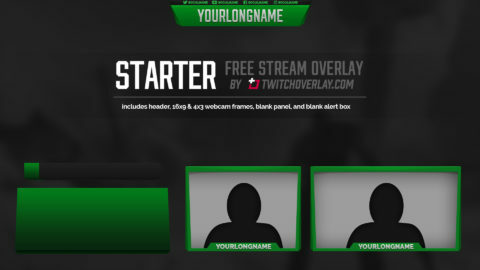 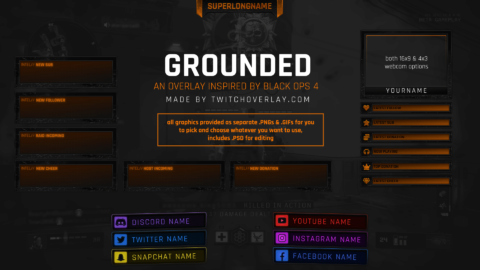 Included in this download is a header, bottom & floating panels for display stream info, webcam frames in 16×9 and 4×3 ratios, a set of social icons (as displayed above) for you to display your social media info, and (a new inclusion for this download) alerts for you to thank any new followers, subs, donators, or hosts.